Replace your Spark Plug Regularly! This spark plug out of a Top 80 had more than 60 hours on it and is worn out but the engine still ran fairly well, even at high loads. However, the engine experienced sudden failure due to a piece of lead phosphate (the byproduct of the action of TCP additive on the tetraethyl lead in AVGAS). 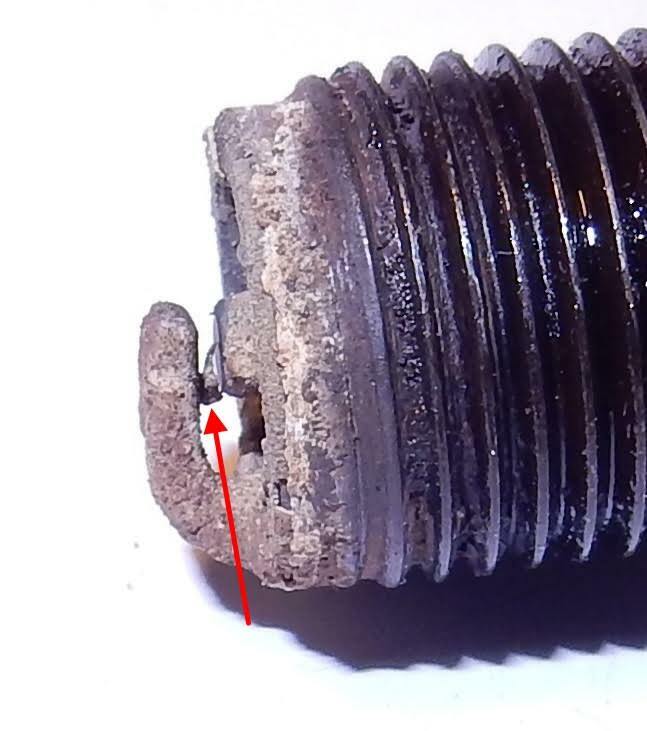 A tiny flake of lead phosphate dislodged from the spark plug (most likely) and got caught between the electrodes of the spark plug, shorting it out. The pilot had to do an emergency landing with no damage or injury. But all ultralights can fail at any time, right? We should always be prepared to land. Never assume that your engine will give a warning when it is about to fail.